It is with great sadness that we announce the passing of Aubrey Alfred Purdy Carter, 95, of Aulac and formerly of Sackville and Bayfield, NB, at the Westford Nursing Home, Port Elgin, on Sunday, December 2, 2018. Born in Amherst, Aubrey was a son of the late Saxby and Freda (Purdy) Carter. 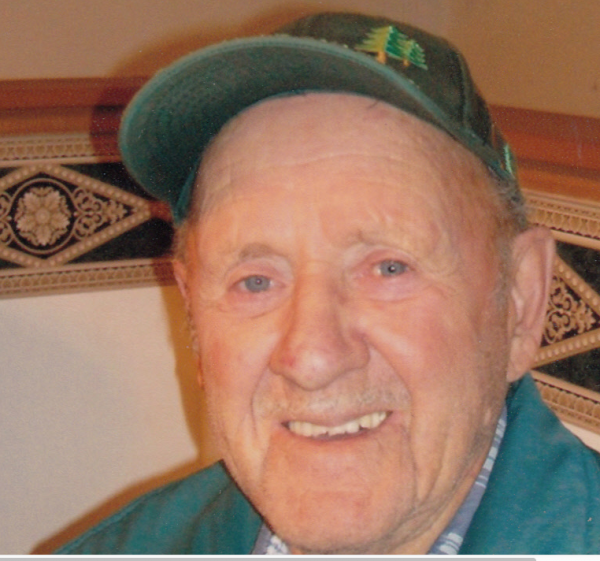 Aubrey was a Veteran during World War II, having served overseas with the 8th Hussars, Sackville Unit, as an ammunitions truck driver from 1942-1945. He was a member of the Royal Canadian Legion, Branch 26, Sackville. Aubrey had worked for Fawcett Foundry for a number of years and was a transport owner/operator for several years before his retirement. He was an avid woodworker, supplying to everyone along the shore. He was a devoted father, grandfather, great and great great grandfather. He loved and will be missed by his furry pal, Buddy. Aubrey will be dearly missed by his children, Audrey (Mike) Laurent, Aulac, Marie (Malcolm) Spence, Murray Corner, Raymond Carter, Maple Ridge, BC, and Eric (Laurie) Carter, Lucky Lake, SK; eleven grandchildren; eleven great grandchildren, and two great-great grandchildren, as well as many nieces and nephews. Besides his parents, Aubrey was predeceased by his wife, Millie (nee Parsons); a son Leonard and two brothers, Lewis and Saxby Jr. Arrangements are under the care and guidance of Jones Funeral Homes. A time of visitation will be held from their Port Elgin location, 3 West Main Street (506-538-2241) 6-8 pm on Monday, December 3, 2018 with a funeral service on Tuesday at 2 pm. Wayne Jarvis DLM presiding. The Royal Canadian Legion will be holding a memorial service on Monday at 5:45 pm at the funeral home. Donations in memory of Aubrey may be made to the Westford Nursing Home. Sharing of memories and condolences may be sent to the family by visiting Aubrey's online memorial at www.jonesfuneralhome.ca or through the Jones Funeral Home Facebook Page.